Why Do I Even Care If Rev. Matthew C. Harrison Is Reelected As Synod President? Church Politics. It should be an oxymoron, but it's not. That's why one of the very first things I really struggled with when I became a Confessional Lutheran was accepting the reality that we have a Synod and that there are "Synodocrats" within that political structure who must not only be elected by us, but then who also need to act like elected officials in some respects. The challenge for them (and messy part if they're not careful) is when their political aspirations trump their vocation as servants of the Word and Sacraments. Of course, there's a reason why this sort of thing seems strange within Christ's Church, but I've learned it's a necessary evil (if "evil" is even the right word to use). Still, for any "new" Lutheran converts out there who are struggling with this, just remember that it's better to have accountability and formal structure within a denomination. I mean, it's not like our Synod President is anything even remotely like the Roman Catholicism's Pope anyway. 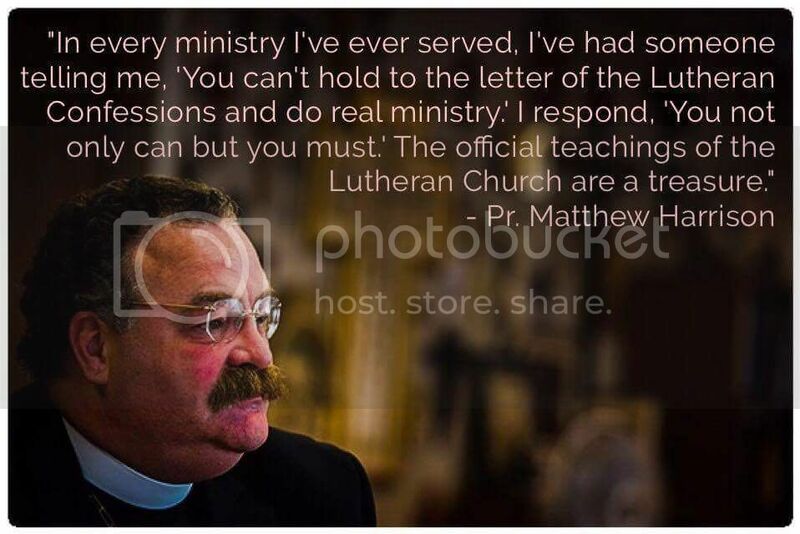 I know there are some well-respected men within the Lutheran church who feel differently though. Yet, despite their concerns (no matter how valid some of them might be), as a former American Evangelical and relatively new convert to Lutheranism, I want to go on record and state that I welcome this hierarchy and process -- warts and all! Believe me, the alternative is much more dangerous and scarier spiritually speaking. Galatians 5:9 (ESV) A little leaven leavens the whole lump. 2 Corinthians 11:13-15 (ESV) For such men are false apostles, deceitful workmen, disguising themselves as apostles of Christ. And no wonder, for even Satan disguises himself as an angel of light. So it is no surprise if his servants, also, disguise themselves as servants of righteousness. Their end will correspond to their deeds. 1 Timothy 1:18-20 (ESV) This charge I entrust to you, Timothy, my child, in accordance with the prophecies previously made about you, that by them you may wage the good warfare, holding faith and a good conscience. By rejecting this, some have made shipwreck of their faith,among whom are Hymenaeus and Alexander, whom I have handed over to Satan that they may learn not to blaspheme. Look, I get the urge for many Christians (for many life-long Lutherans that I know) to just want to shrug their shoulders, throw up their hands, and roll their eyes with a "So what!?!" type of mentality. As far as they're concerned (and I've heard this many times before including from one retired LCMS Pastor! ), "It's all nonsense! Who cares what some religious bureaucrats in Missouri think anyway!?!" A Confessional Lutheran synod should be prized and famous for its militant disputational character. It should dispute with itself more than anyone else to ensure that any heterodoxy is refined out before it quenches the forge of justification. The treasure of the church should be poured into foundations of disputation since assaults and sieges against pure doctrine will never end until the return of Christ. 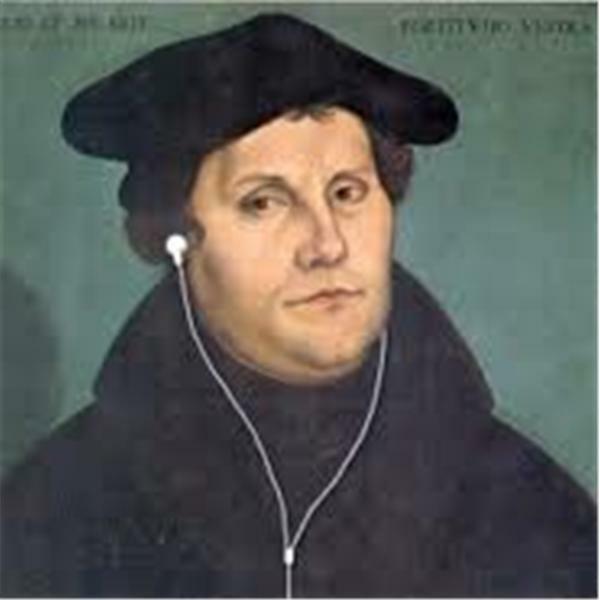 Martin Luther and his fellow theologians of the Reformation modeled ardent disputation for us. The consequences of their disputation were hardly trivial — they were always just an axe-drop shy of losing their voices. 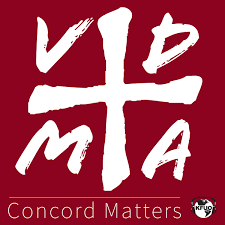 In spite of the threats, they disputed continually with princes and Popes, laymen and lectors, bishops and barons to continue securing the faith which was once for all delivered to the saints.The Book of Concord (BoC) demonstrates how vigorously and rigorously we are to contend for pure doctrine. The BoC is also instructive in matters of resolution. All Christian disputation has a single purpose — the maintenance of one pure and true religion. Modern America hates disputation because someone might discover a pimple on their self-esteem. Those engaged in disputation are condemned and shunned, and we prefer to be surrounded by accommodators. Our culture is deathly afraid of resolution because it requires someone to be right and someone to be wrong. Consequently, we resolve nothing. We bury things. We massage things. We euphemize things. We endlessly ponder and review things. We distract ourselves to prove that we have risen above mere resolution to the exalted glories of reconciliation. Before that throne, everyone agrees to disagree in the name of mutual respect and understanding. 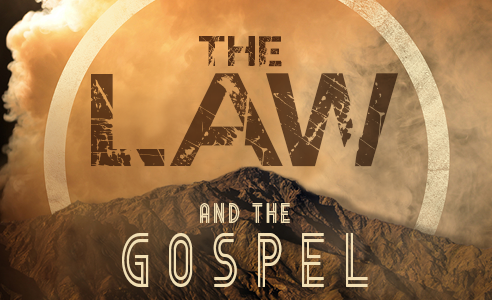 Our faith allows no such toleration, but bylaws must prevail over truth. LCMS seminarians are increasingly indoctrinated to be winsome in the manner of Campus Crusade. 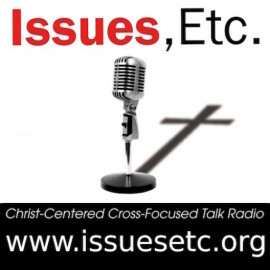 Valiant experts in Christian disputation? Surely not! Pastors engaged in disputation have no love for the lost, don’t you know? Pastors who toe-the-line are rewarded with winsome congregations in winsome districts that indulge themselves along the spectrum of heterodoxy to the point of heresy. Pastors who won’t submit to the institutional spirit are threatened and cajoled in innumerable ways until they crack or comply. When they don’t break or bend, they are slandered and politicked against. Those who organize to point out errors are accused of trying to split the Synod even as the accusers fund and tend their own shadow Synod. These are the shameful depths we have sunk to. Sadly, this is what day-to-day life is like for Lutherans in some liberal Districts and some liberal congregations like here in the Eastern District. Doctrine matters and making sure we elect someone to lead our Synod who firmly believes that Biblical truth is absolutely essential. The point of all of this is to say that since this process is unavoidable, it's in all of our best interests to make sure we elect a Synod President who will remain faithful to both the Word of God and our Confessions. To put it another way, we should want "a President who respects the tradition's confessional roots and will allow Lutherans to be Lutherans." With that in mind, I want to offer my humble thoughts on why we need to reelect Rev. Matthew C. Harrison for LCMS President. I want to start by mentioning a thought-provoking paper I just found titled "When Do We Use The Doctrine Of The Church Properly?" written 74 years ago in June 1942 by Professor Theo. Hoyer at the 41st Convention of the Minnesota District of the Evangelical Lutheran Church of Missouri, Ohio and Other States. With our own Synod Convention just weeks away, and the election of Synod President taking place as I type this, I thought it would be fitting to open this commentary with a few words from this 1942 historical document on the importance of...you guessed it...doctrine. When reading it, please remember that this essay was presented just 6 months after the bombing of Pearl Harbor and the start of the United States' involvement in World War II, or at a time when a cry for "unity" was at the forefront of every Christian's mind as they clung to a hope of finding lasting freedom and peace. This is the backdrop. "'The Church is one' -- this statement will hardly meet with dissent among those who call themselves Christians. There are two ways, however, in which people respond to the doctrine of the Church. Some say: Since the Church is one and you find members of this Church in all the visible organizations, it makes no difference which one of them you join; in fact, there is a legitimate reason for the diversity and in the end it is the will of God that it should be so. Others say, (and this is most prevalent in our day), since the Church is one, and you admit there are members of this Church in all Christian denominations, let’s forget our differences, unite, and form a common front against all those who are enemies of the Church; then we shall not waste our strength in opposing each other; we can on the contrary, assist each other in the battle with the common enemy. ... All of this always leads to unionism; and the reason for it lies in a false conception of the doctrine of the Church, or in a false application of the doctrine of the Church. It should be clear to us that it is not merely an academic question that we have before us this year; it is of immense practical value that we for our mutual strengthening once again consider the question -- When do we use the doctrine of the Church properly? -- There is a life that is worse than death; and there is a peace that is worse than war; and there is a religious union that is worse than religious division. To help keep us from unionism, the danger of the times, the pitfall which has time and again proved the ruin of churches -- that is the special viewpoint from which we shall consider the question: When do we use the doctrine of the Church properly?" Boy, if that doesn't resonate with us today, doesn't it? And yet, this was delivered at a time in history like no other. It's funny, because we're always making everything sound so serious and like it's an "emergency" and "urgent" all the time (I know I'm certainly guilty of this, especially whenever I'm writing about the poison of false teaching and those within our churches who are feeding it to the sheep entrusted to their care), but this was in a day-and-age when discussions of "Unity At All Costs!" within Christ's Church had to feel like a true matter of life-and-death to believers regardless of the denomination they belonged to. I wonder what it would mean for us as a church body if Pastor Harrison is not reelected this time around. I'm sure the immediate feeling of hopelessness could quite possibly turn into a feeling of fear and despair rather quickly. Perhaps that would be the wrong reaction in light of a paper like the one I just referenced. Even if it is the beginning of the end of the Synod, it's clearly not the end of Christ's Church here on earth. Now, that's not to say that we should ever minimize the presence and effects of false doctrine (Galatians 5:9), or that we should marginalize our dear brothers and sisters in Christ who attempt to bring up concerns over such false doctrine (2 Peter 2). In other words, despite the political shenanigans we've seen that appear to be no different from the kind we see the secular world exhibiting on a regular basis, we shouldn't view the impending election of the next LCMS President as though it isn't important. Quite the contrary, because doctrine matters! All of this is to simply remind us (me included) to keep the proper perspective moving forward regardless of what does or doesn't happen. As many of you already know, we have a number of reasons to be concerned about who is elected, and we have a number of reasons why we should pray that it is Rev. Harrison who gets reelected. The Repentance Of Nineveh, Or Mocking God? I know that's a ton to take in, but I wanted to help demonstrate why this is such an important time for our Synod. Personally, it feels as though our very Lutheran identity is at stake. I'm sure my feelings are a little biased given the District I currently find myself in, but there's no denying that there are two distinct camps competing for the right to influence the Synod moving forward. Right now, there is a definite split within the Lutheran Church-Missouri Synod (LCMS) regardless of how we all might try to ignore it or kick the can down the road. You don't have to take my word for it either. Merely spend 5 minutes on the ACELC website and you'll see what I mean. 15. He’s evangelical and catholic. 14. He wears a clerical collar – because he has a high view the Office of the Holy Ministry without being a sacerdotalist. 13. He’s a theologian of the cross. 11. He translates NT Greek on the fly during interviews. 9. He answers the question. 7. He’s got a kneeler in his office. 6. He puts up with all our bellyaching. 5. He’ll keep your secret. 4. He understands liturgy and hymnody as a timeless treasure, not a curious German relic from our past. 3. He thinks doctrine and practice go together. 2. Because of that fabulous ‘stache! So here we are. What will be the end result? It's too early to tell, but we do know that there are 2,700 fewer voters registered this year than there were in 2013 so it could be close. Regardless of who we'll be voting for, let's all make sure our faith and trust isn't misplaced. I'd like to conclude today's commentary with a few words from Rev. Matthew Harrison that he wrote in response to C.F.W. Walther's "Thesis V" in The Church & The Office Of The Ministry where Walther said, "Although the true Church in the proper sense of the word is in its essence invisible, nevertheless its existence can be (definitely) recognizable, namely, by the marks of the pure preaching of God's Word and the administration of the Sacraments according to Christ's institution." My sainted teacher, the Rev. Dr. Kurt Marquart, used to put it this way: We cannot infallibly know the "who" of the Church (because faith is unseen), but we can know the "where." As Ignatius of Antioch put it: "Where there is Christ, there is the Church." The presence of the Church is not determined by a priesthood sanctioned by the papacy. The presence of the Church is not guaranteed by the morality of church members. The presence of the Church is not guaranteed by an Office of the Ministry passed from minister to minister in succession. The presence of the Church is not guaranteed by a voters' assembly. The presence of the Church is not guaranteed by the size of the congregation. The presence of the Church is not determined by the activity of individual members. The presence of the Church is determined and guaranteed by Christ in His Word and Sacraments. Christ creates and sustains faith by these means. Where they are present and distributed, there is the Office of the Ministry and believers who receive these means of grace. This teaching is enormously comforting because in this life we are associated with Christians who are purely poor sinners just like ourselves. They fail. We fail. Pastors fail. Some fail horribly. We are often loveless. "Our righteous deeds are as filthy rags," as Isaiah says (see 64:6). Our congregations are often beset by controversy and conflict. Why? 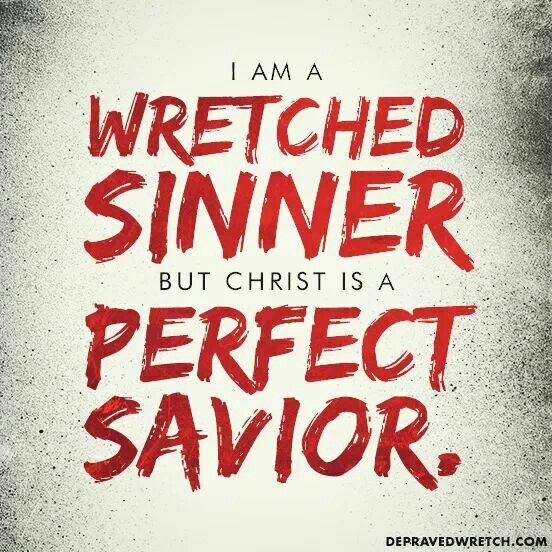 We are sinners, just like the apostles at the time of Jesus and just like the congregations in Galatia, Ephesus, and Corinth. The beautiful and comforting teaching of the New Testament is this: the Church lives where Jesus is in His blessed Word and Sacraments. There faith is created. There is the Church. In a Lutheran layman's terms, doctrine matters, doctrine informs practice, and Synod politics will never change that, because the presence of Christ's Church is determined by the presence of Jesus Christ and found not in any one man, but found where His Word is properly preached and where His Sacraments are rightly administered. Let's vote to elect the man who not only believes that, but who will do everything using the power given to him by God to ensure it always remains that way within the LCMS.